Another busy week ends with another batch of fan art! And now that Parasoul has been announced, we’ve also got another excellent piece of “official fan art” from one of our clean-up artists! We’re running low on fan art by new artists to draw from, so by, all means… make more! 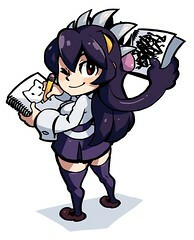 We regularly check DeviantArt and Pixiv, but you can always submit your work to us directly through fanart@revergelabs.com. 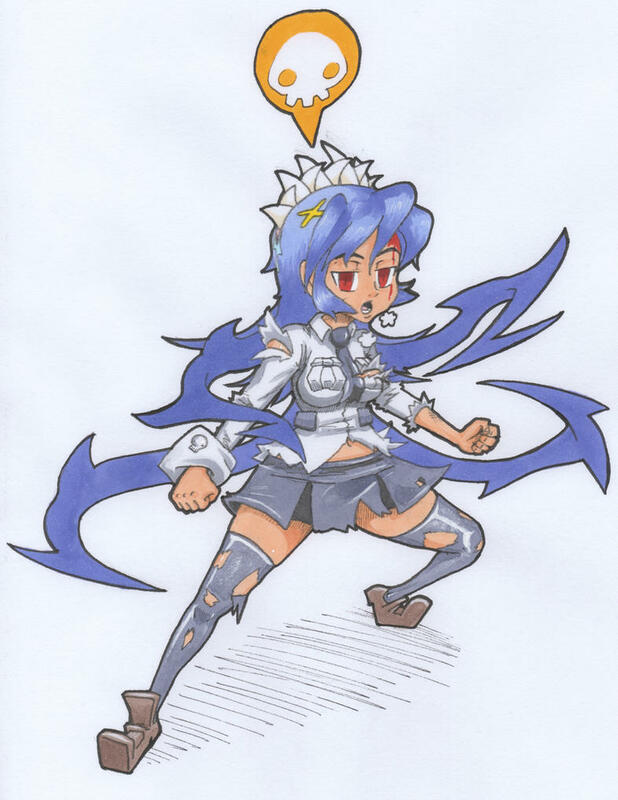 This great piece of post-fight Filia by Jawas47 proves that you don’t need to go digital to produce great fan art! 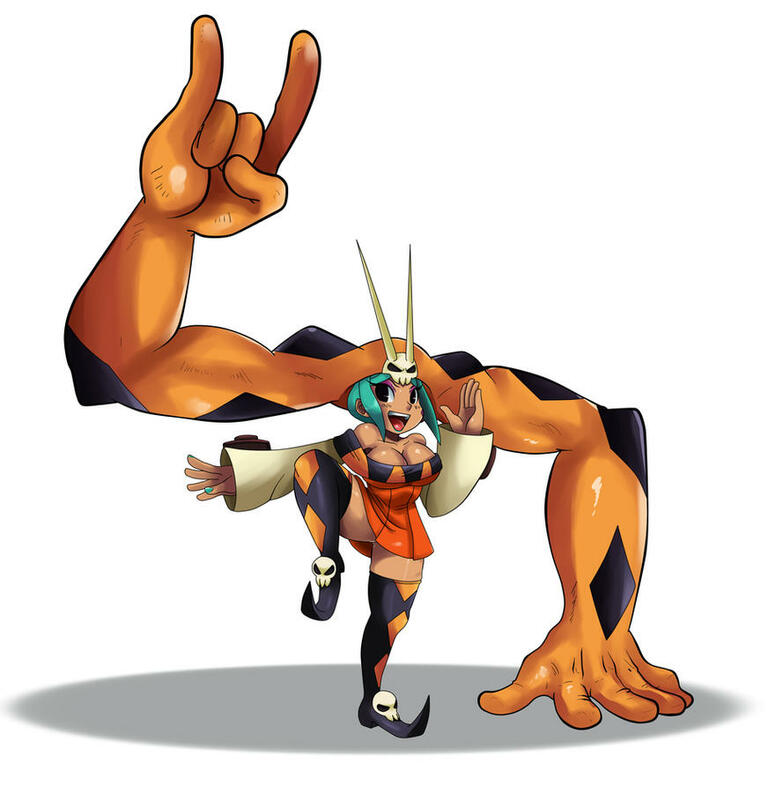 This is a great portrait of Cerebella and Vice-Versa by SS2Sonic! 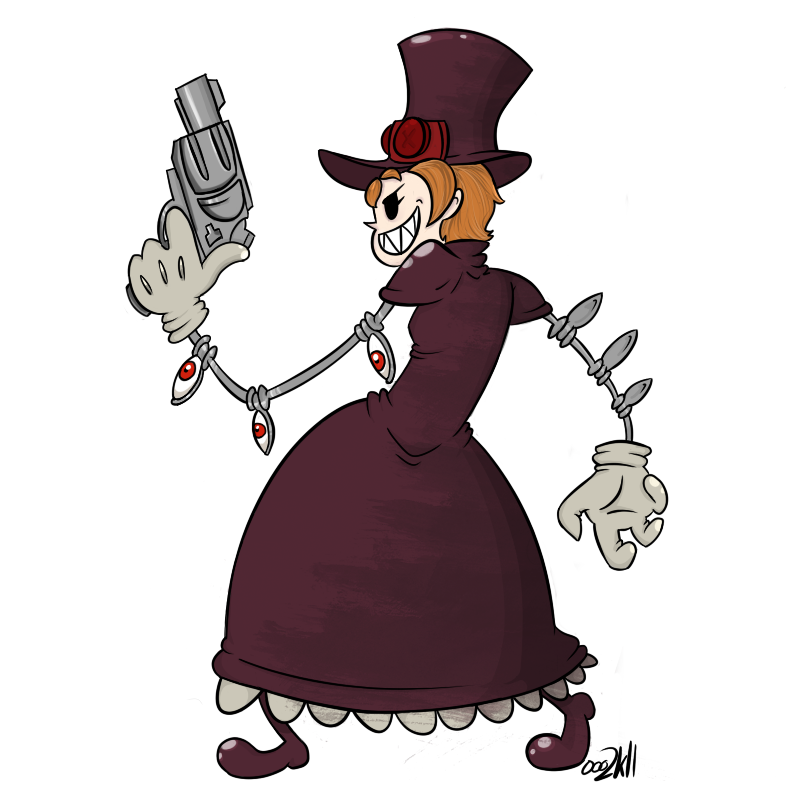 An excellent (and creepy) picture of everyone’s favorite mechanical menace by LordOfOoo. Parasoul poses seductively with her living umbrella, Kreig, courtesy of Pixiv’s Nu. 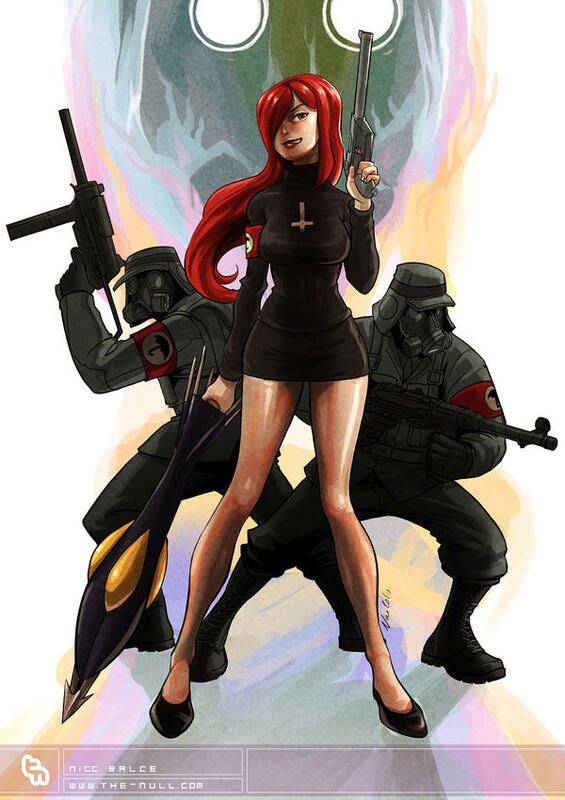 Can’t believe there are no comments on the Parasoul fan arts here, these two are amazing work.